Lim, T.W. ; Park, C.-W.; White, S.R. and Sottos, N.R. Time-Release of Encapsulated Additives for Enhanced Performance of Lithium-Ion Batteries, ACS Appl. Mater. Interfaces, 2017, published online October 25, 2017. Pety, S.J. ; Aw, J.E. ; Gendusa, A.C.; Barnett, P.R. ; Calvert, Q.A. ; Sottos, N.R. ; White, S.R. Effect of Microchannels on the Crashworthiness of Fiber-reinforced Composites, Composite Structures, 2017, 184, 428-436. Hart, K.D. ; Lankford, S.M. ; Freund, I.A. ; Patrick, J.F. ; Krull, B.P. ; Wetzel, E.D. ; Sottos, N.R. and White, S.R. Repeated Healing of Delamination Damage in Vascular composites by Pressurized Delivery of Reactive Agents, Compos. Sci. Technol., 2017, 20, 1-9. Pety, S.J. ; Tan, M.H.Y. : Najafi, A.R. ; Barnett, P.R. ; Geubelle, P.H. ; White, S.R. Carbon Fiber Composites with 2D Microvascular Networks for Battery Cooling, Int. J. Heat Mass Transfer, 2017, 115, 513-522. Pety, S. J.; Chia, P. X. L.; Carrington, S. M.; White, S. R. Active Cooling of Microvascular Composites for Battery Packaging, Smart Mater Struct., 2017, 26, 105004. Hart, K.H. ; Chia, P.X.L. ; Sheridan, L.E. ; Wetzel, E.D. ; Sottos, N.R. ; White, S.R. Mechanisms and Characterization of Impact Damage in 2D and 3D Woven Fiber-reinforced Composites. Composites, Part A, 2017, 101, 432-433. Hart, K.H. ; Chia, P.X.L. ; Sheridan, L.E. ; Wetzel, E.D. ; Sottos, N.R. ; White, S.R. Comparison of Compression After Impact and Flexure After Impact and Flexure After Impact Protocals for 2D and 3D Woven Fiber-reinforced Composites, Composites, Part A, 2017, 101, 471-479. Gergely, R.C. ; Rossol, M.N. ; Tsubaki, S.; Wang, J.; Sottos, N.R. ; White, S.R. A Microvascular System for the Autonomous Regeneration of Large Scale Damage in Polymeric Coatings. Adv. Eng. Mater., published online June 7, 2017. Robertson, I.D. ; Dean, L.M. ; Rudebusch, G.E. ; Sottos, N.R. ; White, S.R. ; Moore, J.S. Alkyl Phosphite Inhibitors for Frontal Ring-Opening Metathesis Polymerization Greatly Increase Pot Life. ACS Macro Lett., 2017, 6, 609-612. Yourdkhani, M., Leme-Kraus, A.A., Aydin B., Bedran-Russo, A. K., White, S.R. Encapsulation of grape seed extract in polylactide microcapsules for sustained bioactivity and time-dependent release in dental material applications. Dent. Mater. 2017, 33, 630-636. Gergely, R.C.R., Sottos, N.R., White, S.R. Regenerative Polymeric Coatings Enabled by Pressure Responsive Surface Valves, Adv. Eng. Mater., published online May 18, 2017. Kang, S., Yang, K., White, S.R., Sottos, N.R. Silicon Composite Electrodes with Dynamic Ionic Bonding, Adv. Energy Mater., 2017, 1700045. Tang, S.; Yourdkhani, M.; Possanza- Casey, C.; Sottos, N.R. ; White, S. R.; Moore, J.S. Low Ceiling Temperature Polymer Microcapsules with Hydrophobic Payloads via Rapid Emulsion-Solvent Evaporation, ACS Appl. Mater. Interfaces, 2017, 9, 20115-20123. Krull, B.; Patrick, J.; Hart, K.; White, S. and Sottos, N. Automatic optical crack tracking for double cantilever beam specimens, Exp. Tech. 2016, 40, 937-945. Zhang, Y.; Ying, H.; Hart, K.R. ; Wu, Y.; Hsu, A.J. ; Coppola, A.M.; Kim, T.A. ; Yang, K.; Sottos, N.R. ; White, S.R. and Cheng, J. Malleable and recyclable poly(urea-urethane) thermosets bearing hindered urea bonds, Adv. Mater., 2016, 28, 7646-7651. Tan, M.H.Y. ; Najafi, A.R. ; Pety, S.J. ; White, S.R., Geubelle, P.H. Gradient-based design of actively-cooled microvascular composite panels, Int. J. Heat Mass Transfer 2016, 103, 594-606. Robb, M.J.; Li, W.; Gergley, R.C. ; Matthews, C.C. ; White, S.R. ; Sottos, N.R. and Moore, J.S. A robust damage-reporting strategy for polymeric materials enabled by aggregation-induced emission, ACS Cent. Sci. 2016, 2, 598–603. Robb, M. J.; Kim, T. A.; Halmes, A. J.; White, S. R.; Sottos, N. R.; Moore, J. S. Regioisomer-specific mechanochromism of naphthopyran in polymeric materials, J. Am. Chem. Soc. 2016, 138, 12328–12331. Doan, T.Q., Leslie, S.L., Kim, S.Y., Bhargava, R., White, S.R. and Sottos, N.R., Characterization of core-shell microstructure and self-healing performance of electrospun fiber coatings, Polymer 2016, 107, 263-272. Kim, T.A. ; Beiermann, B.A. ; White, S.R. and Sottos, N.R. Effect of mechanical stress on spiropyran-merocyanine reaction kinetics in a thermoplastic polymer. ACS Macro Lett. 2016, 5, 1312-1316. Patrick, J.F., Robb, M.J., Sottos, N.R., Moore, J.S. and White, S.R., Polymers with autonomous life-cycle control, Nature 2016, 540, 363-370. Tavassol, H., Jones, E.M.C., Sottos, N.R. and Gewirth, A.A., Electrochemical Stiffness in Lithium-ion Batteries, Nat. Mater., 2016,15, 1182-1187. Awasthi, A.P., Grady, M.E., Kim, I.H., Sottos, N.R. and Geubelle, P.H., Nanoscale Mechanical Tailoring of Interfaces using Self-assembled Monolayers, Mechanics of Materials, 2016, 98, 71-80. Jajam, K.C. and Sottos, N.R., Energy Absorption Behavior of Polyurea Under Laser-Induced Dynamic Mixed-Mode Loading, Journal of Dynamic Behavior Materials, 2016, 2, 379-390. Safdari, M., Najafi, A.R., Sottos, N.R., and Geubelle, P.H., A NURBS-based Generalized Finite Element Scheme for 3D Simulation of Heterogenous Materials, Journal of Computational Physics, 2016, 318, 373-390. Jones, E.M.C., Çapraz, Ô.Ô., White, S.R. and Sottos, N.R. Reversible and Irreversible Deformation Mechanisms of Composite Graphite Electrodes in Lithium-Ion Batteries, J. Electrochem. Soc., 2016, 163, A1965-1974. Krull, B.K. ; Gergely, R.C.R. ; Santa Cruz, W.A. ; Fedonina, Y.I. ; Patrick, J.F. ; White, S.R. and Sottos, N.R Strategies for Volumetric Recovery of Large Scale Damage in Polymers, Adv. Funct. Mater. 2016, 26, 4561-4569. DOI: 10.1002/adfm.201600486. Coppola, A.M.; Hu, L.; Thakre, P.R. ; Radovic, M.; Karaman, I.; Sottos, N.R. and White, S.R., Active cooling of a microvascular shape memory alloy-polymer matrix composite hybrid material, Adv. Eng. Mater. 2016, published online 29 MAR 16 DOI: 10.1002/adem.201600020. Li, W., Matthews, C.C., Yang, K., Odarczenko, M.R., White, S.R. and Sottos, N.R., Autonomous indication of mechanical damage in polymer coatings, Adv. Mater., 2016, 28, 2189-2194. Coppola, A.M., Griffin, A.S., Sottos, N.R., White, S.R. Retention of Mechanical Performance of Polymer Matrix Composites Above the Glass Transition Temperature by Vascular Cooling, Composites Part A., 2016, 82, 170-179. Diesendruck, C.E., Sottos, N.R., Moore, J.S., White, S.R. Biomimetic Self-Healing, Angewante Reviews, 2015, 54, 10428-10447. Coppola, A.M., Griffin, A.S., Sottos, N.R., White, S.R. Retention of Mechanical Performance of Polymer Matrix Composites Above the Glass Transition Temperature by Vascular Cooling, Composites Part A., published online July 23, 2015. Kang, S., Baginska, M., White, S.R., Sottos, N.R. Core–Shell Polymeric Microcapsules with Superior Thermal and Solvent Stability, ACS, Appl. Mater. Interfaces, 2015,7, 10952-10956. Celestine, A.-D.N., Sottos, N.R., White, S.R. Autonomic Healing of PMMA via Microencapsulated Solvent Polymer, 2015, 69, 241-248. Safdari, M., Najafi, A.R., Sottos, N.R. and Geubelle, P.H., A NURBS-based interface-enriched generalized finite element method for problems with complex discontinuous gradient fields, International Journal for Numerical Methods in Engineering, 2015, 101, 950-964. Baginska, M., Kaitz, J.A., Jones, A.R., Long, B.R., Gewirth, A.A., Sottos, N.R., Moore, J.S. and White, S.R.,Electropolymerization of Microencapsulated 3-hexylthiophene for Lithium-Ion Battery Applications, Journal of the Electrochemical Society, 2015, 162, A373-A377. I. D. Robertson, H. Lopez Hernandez, S. R. White, J. S. Moore, Rapid Stiffening of a Microfluidic Endoskeleton via Frontal Polymerization. ACS Appl. Mater. Interfaces 2014, 6, 18469. Gergely, R.C.R. ; Pety, S.J. ; Krull, B.P. ; Patrick, J.F. ; Doan, T.Q. ; Coppola, A.M.; Thakre, P.R. ; Sottos, Moore, J.S. ; White, S.R. Multidimensional Vascularized Polymers using Degradable Sacrificial Templates, Adv. Funct. Mater., published online December 17, 2014. Lopez Hernandez, H.; Kang, S.-K.; Lee, O.P. ; Hwang, S.-W.; Kaitz, J.; Inci, B.; Park, C.; Chung, S.; Sottos, N.R. ; Moore, J.S. ; White, S.R. Triggered Transience of Metastable Poly(phthalaldehyde) for Transient Electronics, Adv. Mater., 26, 7637–7642. Jones, A.R., Cintora, A., White, S.R. and Sottos, N.R., Autonomic Healing of Carbon Fiber/Epoxy Interfaces, ACS Applied Materials and Interfaces, 6, 6033-6039 (2014). Beiermann, B.A., Kramer, S.L.B., May, P.A., Moore, J.S., White, S.R. and Sottos, N.R., The Effect of Polymer Chain Alignment and Relaxation on Force-Induced Chemical Reactions in an Elastomer, Advanced Functional Materials, 24, 1529-1537 (2014). Caruso Dailey, M.M. ; Silvia, A.W. ; McIntire, P.J. ; Wilson, G.O. ; Moore, J.S. ; White, S.R. A Self-healing Biomaterial Based on Free-radical Polymerization. J. Biomed. Mater. Res. Part A, 2014, 102, 3024-3032. Baginska, M.; Blaizsik, B.J. ; Rajh, T.; Sottos, N.R. ; White, S.R. ; Enhanced Autonomic Shutdown of Li-ion Batteries by Polydopamine Coated Polyethylene Microspheres, J. Power Sources, 2014, 269, 735-739. Celestine, A.-D. N.; Beiermann, B.A. ; May, P.A. ; Moore, J.S. ; Sottos, N.R. ; White, S.R. Fracture-induced Activation in mechanophore-linked, Rubber Toughened PMMA. Polymer, 2014, 55, 4164-4171. Diesendruck, C.E. ; Peterson, G.I. ; Kulik, H.J. ; Kaitz, J.A. ; Mar, B.D. ; May, P.A. ; White, S.R. ; Martinez, T.J.; Boydston, A.J. and Moore, J.S. Mechanically-Triggered Heterolytic Unzipping of a Low Ceiling Temperature Polymer, Nat. Chem., 2014, 6, 623-628. Baginska, M., Kaitz, J.A., Jones, A.R., Long, B.R., Gewirth, A.A., Sottos, N.R., Moore, J.S., White, S.R., Electropolymerization of Microencapsulated 3-hexylthiophene for Lithium-Ion Battery Applications, J. Electrochem. Soc., 2014, 162, A373-A377. Jones, E.M.C. ; Silberstein, M.N. ; White, S.R. and Sottos, N.R. In Situ Measurements of Strains in composite Battery Electrodes during Electrochemical Cycling, Exp. Mech., 2014, 54, 971-985. Kang, S.; Jones, A.R. ; Moore, J.S. ; White, S.R. and Sottos, N.R. Microencapsulated Carbon Black Suspensions for Restoration of Electrical Conductivity, Adv. Funct. Mater., 2014, 24, 2947-2956. White, S.R. ; Moore, J.S. ; Sottos, N.R. ; Krull, B.P. ; Santa Cruz, W.A. ; Gergely, R.C.R. Restoration of Large Damage Volumes in Polymers, Science, 2014, 344, 620-623. Patrick, J.F., Hart, K.R., Krull, B.P., Diesendruck, C.E., Moore, J.S., White, S.R. and Sottos, N.R., Continuous Self-Healing Life Cycle in Vascularized Structural Composites, Advanced Materials, 2014, 26, 4302-4308. Olugebefola, S.C.; Hamilton, A.R. ; Fairfield, D.J. ; Sottos, N.R. ; White, S.R. Structural Reinforcement of Microvascular Networks Using Electrostatic Layer-by-Layer Assembly with Halloysite Nanotubes. Soft Matter, 2014, 10(4), 544-548. Degen, C.M. ; May, P.A. ; Moore, J.S. ; White, S.R. ; Sottos, N.R. Time-Dependent Mechanochemical Response of SP-Cross-Linked PMMA. Macromolecules, 2013, 46, 8917-8921. Jin, H.; Mangun, C. L.; Griffin, A. S.; Moore, J. S.; Sottos, N. R. and White, S. R., Thermally stable autonomic healing in epoxy using a dual-microcapsule system. Adv. Mater., 2014, 26, 282-287. Coppola, A.M.; Thakre, P.T. ; Sottos, N.R. ; White, S.R. Tensile Properties and Damage Evolution in Vascular 3D Woven Glass/Epoxy Composites. Composites, Part A, 2014, 59, 9-17. Blaiszik, B.J. ; Jones, A.R.,: Sottos, N.R. ; White, S.R. Microencapsulation of Gallium-indium (Ga-In) Liquid Metal for Self-healing Applications. J. Microencapsulation, 2014, published online February 4, 2014. Jones, A.R., Blaiszik, B.J., White, S.R. and Sottos, N.R., Full recovery of fiber/matrix interfacial bond strength using a microencapsulated solvent-based healing system, Composites Science and Technology, 2013, 79,1-7. Moll, J.L., Jin, H., Mangun, C.L., White, S.R. and Sottos, N.R., Self-sealing of mechanical damage in a fully cured structural composite, Composites Science and Technology, 2013, 79, 15-20. Kramer, S.L.B., Beiermann, B.A., White, S.R. and Sottos, N.R., Simultaneous Observation of Phase-Stepped Images for Photoelasticity Using Diffraction Gratings, Experimental Mechanics, published online May 1, 2013. Jin, H.; Hart, K.R. ; Coppola, A.M.; Gergely, R.C. ; Moore, J.S. ; Sottos, N.R. ; White, S.R. Self-Healing Epoxies and Their Composites. Self-Healing Polymers: From Principles to Applications, 2013, 361-376, Weinheim, Germany, Wiley-VCH. Silberstein, M.N. ; Min, K.; Cremar, L.D. ; Degen, C.M. ; Martinez, T.J.; Aluru, N.R. ; White, S.R. ; Sottos, N.R. Modeling mechanophore activation within a crosslinked glassy matrix. J. Appl. Phys., 2013, 114, 023504. King, A.J., Patrick, J.F., Sottos, N.R., White, S.R., Huff, G.H., Bernhard, J.T., Microfluidically Switched Frequency-Reconfigurable Slot Antennas, IEEE Antennas and Wireless Propagation Letters, 2013, 2, 828-831. Soghrati, S.; Najafi, A.R., Lin, J.H. ; Hughes, K.M. ; White, S.R. ; Sottos, N.R. ; Geubelle, P.H. Computational Analysis of Actively-cooled 3D Woven Microvascular Composites Using a Stabilized interface-enriched Generalized Finite Element Method. Int. J. Heat Mass Transfer, 2013, 65, 153-164. Jin, H., Mangun, C. L., Griffin, A. S., Moore, J. S., Sottos, N. R. and White, S. R., Thermally Stable Autonomic Healing in Epoxy using a Dual-Microcapsule System. Adv. Mater.., published online September 18, 2013. Jin, H., Miller, G.M., Pety, S.J., Griffin, A.S., Stradley, D.S., Roach, D., Sottos, N.R. and White, S.R. Fracture behavior of a self-healing, toughened epoxy adhesive, Int. J. Adhes. Adhes., 44, 157-165 (2013). Aragon, A.M., Saksena, R., Kozola, B.D., Geubelle, P.H., Christensen, K.T., White, S.R. Multi-physics optimization of three-dimensional microvascular polymeric components. J. Comput. Phys., 233, 132-147 (2013). Cho, S.H., White, S.R., Braun, P.V., Room-temperature polydimethylsiloxane-based self-healing polymers. Chem. Mater., 24(21), 4209-4214 (2012). Hamilton, A.R., Sottos, N.R., White, S.R., Mitigation of Fatigue Damage in Self-healing Vascular Materials . Polymer, 53, 5575-5581 (2012). Odom, S.A., Tyler, T.P., Caruso, M.M., Ritchey, J.A., Schulmerich, M.V., Robinson, S.J., Bhargava, R., Sottos, N.R., White, S.R., Hersam, M.C., Moore, J.S., Autonomic Restoration of Electrical Conductivity using Polymer-stabilized Carbon Nanotube and Graphene Microcapsules, Appl. Phys. Lett., 101, 043106 (2012). Diesendruck, C., Steinberg, B.D., Sugai, N., Silberstein, M.N., Sottos, N.R., White, S.R., Braun, P.V., Moore, J.S. Proton-coupled Mechanochemical Transduction: A Mechanogenerated Acid. J. Am. Chem. Soc., 134, 12446-12449 (2012). Soghrati, S., Thakre, P.R., White, S.R., Sottos, N.R., Geubelle, P.H. 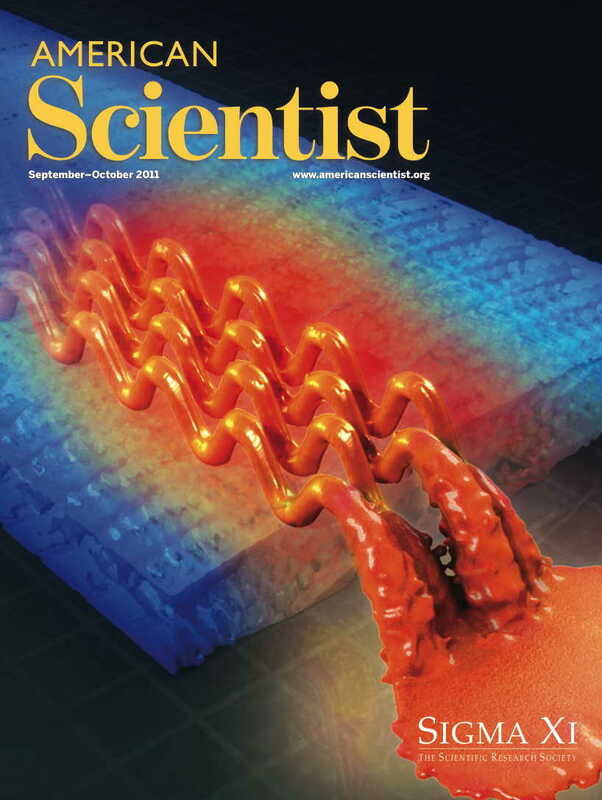 Computational Modeling and Design of Actively-cooled Microvascular Materials, Int. J. Heat Mass Transfer, 55, 5309-5321 (2012). Patrick, J.F., Sottos, N.R., White, S.R. Microvascular Based Self-healing Polymeric Foam, Polymer, 53,4231-4240 (2012). Baginska, M., Blaiszik, B.J., Merriman, R.J., Sottos, N.R., Moore, J.S., White, S.R. Autonomic Shutdown of Lithium-Ion Batteries Using Thermosresponsive Microspheres, Adv. Energy Mater., 2(5), 583-590 (2012). Odom, S.A., Chayanupatkul, S., Blaiszik, B.J., Zhao, O., Jackson, A.C., Braun, P.V., Sottos, N.R., White, S.R., Moore, J.S. A Self-healing Conductive Ink. Adv. Mater, 24, 2578-2581 (2012). Dong, H., Esser-Kahn, A. P., Thakre, P.R., Patrick, J.P., Sottos, N.R., White, S.R., Moore, J.S. Chemical Treatment of Poly(lactic acid) Fibers to Enhance the Rate of Thermal Depolymerization, ACS Appl. Mater. Inter., 4, 503-509, (2012). Blaiszik, B.J., Kramer, S.L.B., Grady, M.E., McIlroy, D. A., Moore, J.S., Sottos, N.R., White, S.R. Autonomic Restoration of Electrical Conductivity, Adv. Mater., 24(3), 398-401 (2012). DOI: 10.1002/adma.201102888. Beiermann, B.A., Kramer, S.L.B., Moore, J.S., White, S.R. and Sottos, N.R. Role of Mechanophore Orientation in Mechanochemical Reactions, ACS Macro Letters, 1, 163-166 (2012). Jin, H., Mangun, C.L., Stradley, D.S., Moore, J.S., Sottos, N.R. and White, S.R. Self-healing Thermoset Using Encapsulated Epoxy-amine Healing Chemistry, Polymer, 53(2), 581-587 (2012). Hamilton, A.R., Sottos, N.R., White, S.R. Pressurized Vascular Systems for Self-healing Materials, J. R. Soc. Interface 9(70), 1020-1028 (2012). Odom, S.A., Jackson, A.C., Prokup, A.M., Chayanupatkul, S., Sottos, N.R., White, S.R., Moore, J.S. Visual Indication of Mechanical Damage Using Core-Shell Microcapsules, Appl. Mater. Interfaces, 3, 4547-4551 (2011). DOI: 10.1021/am201048a. Esser-Kahn, A.P.. Odom, S.A.. Sottos, N.R., White, S.R., Moore, J.S. Triggered Release from Polymer Capsules Macromolecules, 44, 5539-5553 (2011). DOI:10.1021/ma201014n. Beiermann, B.A., Davis, D.A., Kramer, S.L.B., Moore, J.S., Sottos, N.R., White, S.R., Environmental Effects on Mechanochemical Activation of Spiropyran in Linear PMMA, J. Mater. Chem., 21, 8443-8447 (2011). Cho, S.H., White, S.R. and Braun, P.V., Self-Healing Polymer Coatings, Advanced Materials 21, 645-649 (2009). Toohey, K., Sottos, N.R. and White, S.R., Characterization of microvascular-based self-healing coatings, Experimental Mechanics 49, 707-717 (2009). Aragon, A.M., Wayer, J.K., Geubelle, P.H., Goldberg, D.E., White, S.R., Design of microvascular flow networks using multi-objective genetic algorithms, Computational Methods in Engineering 197, 4399-4410 (2008). White, S.R., Caruso, M.M, Moore, J.S. Autonomic healing of polymers, MRS Bulletin 33, 766-769 (2008). Youngblood, J., Extrand, C. and Sottos, N.R., Bioinspired Materials for Self-Cleaning and Self Healing, MRS Bulletin 33, 732-741 (2008). Blaiszik, B.J., Sottos, N.R. and White, S.R. Nanocapsules for Self-Healing Materials, Composite Science and Technology 68, 978-986 (2008). Kamphaus, J.M., Rule, J.D., Moore, J.S., Sottos, N.R., and White, S.R., A new self-healing epoxy with tungsten (VI) chloride catalyst, J. Royal Society: Interface 5, 95-103 (2008). Wilson, G.O., Moore, J.S., White, S.R., Sottos, N.R., and Andersson, H.M., Autonomic Healing of Epoxy Vinyl Esters via Ring Opening Metathesis Polymerization, Advanced Functional Materials 18, 44-52 (2008) . Caruso, M.M., Delafuente, D.A., Ho, V., Moore, J.S., Sottos, N.R., and White, S.R., Solvent-Promoted Self-Healing Materials, Macromolecules 40, 8830-8832 (2007). Potisek, S., Davis, D.A., Sottos, N.R., White, S.R. and Moore, J.S., Mechanophore-Linked Addition Polymers, JACS 129, 13808-13809 (2007). Keller, M.K., White, S.R., and Sottos, N.R., A self-healing poly(dimethyl siloxane) elastomer, Adv. Func. Materials, 17, 2399-2404 (2007). Toohey, K.S., Sottos, N.R., Lewis, J.A., Moore, J.S., and White, S.R., Self-healing materials with microvascular networks, Nature Materials, 6, 581-585 (2007). Rule, J.D., Sottos, N.R., White, S.R. Effect of microcapsule size on the performance of self-healing polymers, Polymer, 48, 3520-3529 (2007). C.R. Hickenboth, J.S. Moore, S.R. White, N.R. Sottos, J. Baudry, S.R. Wilson, ''Biasing reaction pathways with mechanical force'', Nature, 446, 2007, pp. 423-427. D. Therriault, S.R. White, J.A. Lewis, ''Rheological behavior of fugitive organic inks for direct-write assembly'', Applied Rheology, 17, 2007. A.S. Jones, J.D. Rule, J.S. Moore, N.R. Sottos, S.R. White, ''Life extension of self-healing polymers with rapidly growing fatigue cracks'', J. Royal Society: Interface, 4(13), 2007, pp. 395-403. Sottos, N., White, S., and Bond, I. Introduction: Self-healing polymers and composites, Special Issue. J. Royal Society: Interface 4 347-348 (2007). T.C. Mauldin, J.D. Rule, N.R. Sottos, S.R. White, J.S. Moore, ''Self-healing kinetics and the stereoisomers of dicyclopentadiene'', J. Royal Society: Interface, 4(13), 2007, pp. 389-393. O’Brien, D.J., Sottos, N.R. and White, S.W., Cure-dependent Viscoelastic Poisson’s Ratio of Epoxy, Experimental Mechanics,47, 237-249 (2007). S.H. Cho, H.M. Andersson, S.R. White, N.R. Sottos, P.V. Braun, ''Polydimethylsiloxane-based self-healing materials'', Advanced Materials, 18, 2006, pp. 997-1000. A.S. Jones, J.D. Rule, J.S. Moore, S.R. White, N.R. Sottos, ''Catalyst morphology and dissolution kinetics for self-healing polymers'', Chemistry of Materials, 18, 2006, pp. 1312-1317. E.N. Brown, S.R. White, N. R. Sottos, ''Fatigue crack propagation in microcapsule toughened epoxy'', Journal of Materials Science, 41, 2006, pp. 6266-6273. J.D. Rule, E.N. Brown, N.R. Sottos, S.R. White, J.S. Moore, ''Wax-protected catalyst microspheres for efficient self-healing materials'', Advanced Materials, 17(2), 2005, pp. 205-208. J.D. Rule, N.R. Sottos, S.R. White, J.S. Moore, ''The chemistry of self-healing polymers'', Education in Chemistry, 42(5), 2005, pp. 130-132. E.N. Brown, S.R. White, N.R. Sottos, ''Retardation and repair of fatigue cracks in a microcapsule toughened epoxy composite - Part 1: Manual infiltration'', Composites Science and Technology, Special Anniversary Issue, 65, 2005, pp. 2466-2473. E.N. Brown, S.R. White, N.R. Sottos, ''Retardation and repair of fatigue cracks in a microcapsule toughened epoxy composite - Part 2: In situ self-healing'', Composites Science and Technology, Special Anniversary Issue, 65, 2005, pp. 2474-2480. D. Therriault, R.F. Shephard, S.R. White, J.A. Lewis, ''Fugitive inks for direct-write assembly of three-dimensional microvascular networks'', Advanced Materials, 17(4), 2005, pp. 395-399. E.N. Brown, S.R. White, N.R. Sottos, ''Microcapsule induced toughening in a self-healing polymer composite'', Journal of Materials Science, 39, 2004, pp. 1703-1710. M.R. Kessler, N.R. Sottos, S.R. White, ''Self-healing structural composite materials'', Composites Part A: Applied Science and Manufacturing, 34(8), 2003, pp. 743-753. E.N. Brown, M.R. Kessler, N.R. Sottos, S.R. White, ''In situ poly(urea-formaldehyde) microencapsulation of dicyclopentadiene'', Journal of Microencapsulation, 20(6), 2003, pp. 719-730. D. Therriault, S.R. White, J.A. Lewis, ''Chaotic mixing in three-dimensional microvascular networks fabricated by direct-write assembly'', Nature Materials, 2(4), 2003, pp. 265-271. M.R. Kessler, S.R. White, ''Cure kinetics of the ring-opening metathesis polymerization of dicyclopentadiene'', Journal of Polymer Science: Part A: Polymer Chemistry, 40(14), 2002, pp. 2373-2383. E.N. Brown, N.R. Sottos, S.R. White, ''Fracture testing of a self-healing polymer composite'', Experimental Mechanics, 42(4), 2002, pp. 372-379. E.N. Brown, ''Interdisciplinary research: A student's perspective'', Journal of Chemical Education, 79(1), 2002, pp. 13-14. J.D. Rule, J.S. Moore, ''ROMP Reactivity of endo- and exo-Dicyclopentadiene'', Macromolecules, 35(21), 2002, pp. 7878-7882. M.R. Kessler, S.R. White, ''Self-activated healing of delamination damage in woven composites'', Composites Part A: Applied Science and Manufacturing, 32(5), 2001, pp. 683-699. R. Wool, ''A material fix'', Nature, 2001 409, 794-797. S.R. White, N.R. Sottos, J. Moore, P. Geubelle, M. Kessler, E. Brown, S. Suresh, S. Viswanathan, ''Autonomic healing of polymer composites'', Nature, 409, 2001, pp. 794-797.